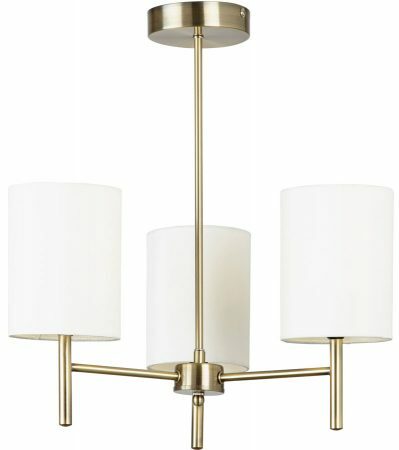 The Brio antique brass finish ceiling light. 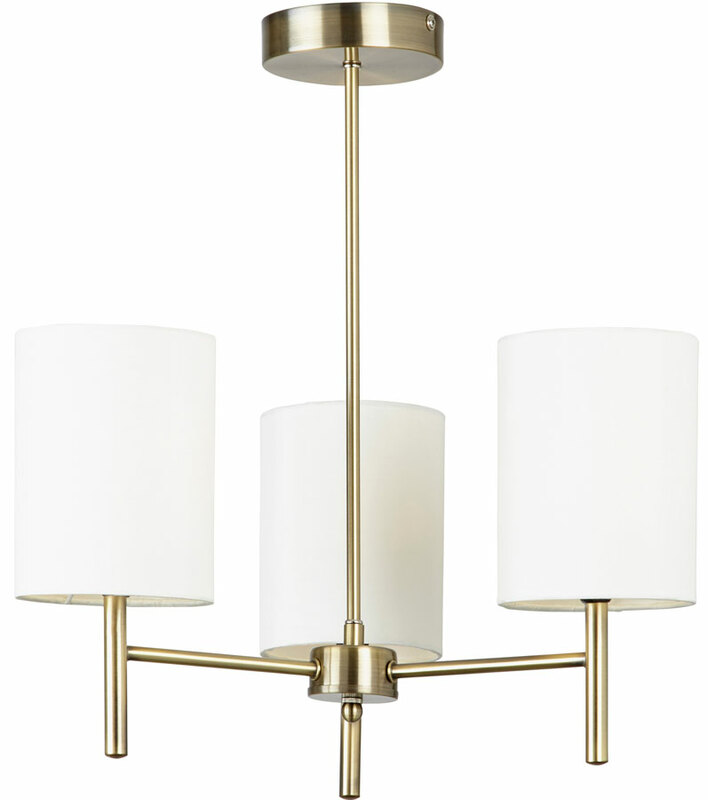 Simple streamlined design, with an antique brass ceiling rose and central rod supporting three simple arms topped with ivory faux silk shades. 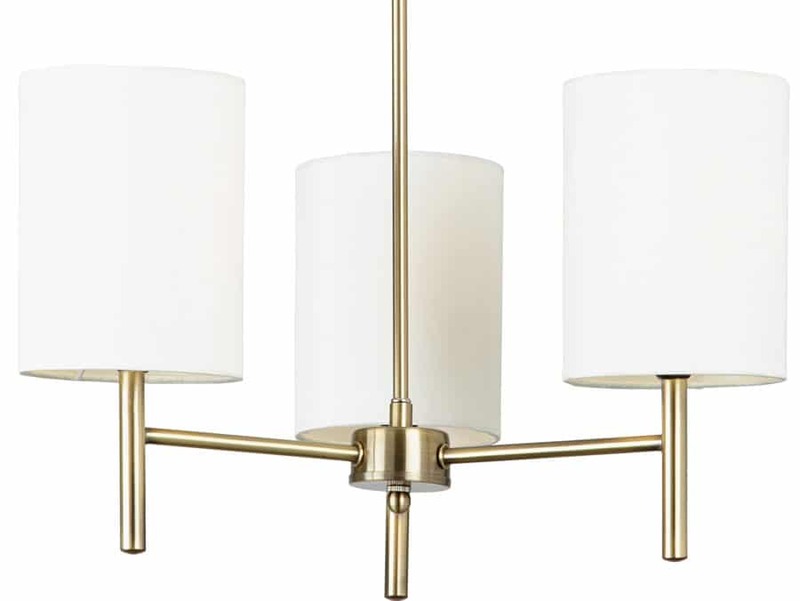 The tall shades make this light fitting suitable for use with energy saving fluorescent light bulbs as they hide the lamp (non dimmable).